Transaction #1: I have to pick up Prilosec for my parents and use my $7.00 off coupons and we are out of Pepto Bismol with $.55 off coupons and with buying 3 will score a $8.00 RR for my first transaction and a Blink Dry Eye Drops $7.99 less $2.00 coupon = $5.99 and get another RR for $7.99. **Note look for the 42 count Prilosec has $15.00 worth of P and G coupons inside. 2--$2.00 Oil of Olay Body Wash; $2.00 Prilosec; $1.50/3 Old Spice; $1.00 Tide; $1.00 Gillette Body Wash; $.50 Crest; $3.00 Pur; $2.00 Head and Shoulders. The $2.00 coupons will double for me to get FREE products later at Kmart or Pamida. **I always get all non-prescriptions on the first transaction as they will be submitted for our flexible spending account. Then use the rapid rewards to roll over onto my regular shopping needs. I will do very well this week, but the non-prescriptions will be spendy but I have flex money I have to finish from last year by the 31st. With sick kids I finally got the chance to get to Walgreens to pick up this weeks deals. I found a couple that I had not seen and thought I would post them for those of you close to a Walgreens. Used my two $2.00 off soda coupons I picked up buying 7up for sick kids. My two transactions of soda were each $2.28 for 4 after using my $3.00 RR from buying Kelloggs cereal last week. I also picked up 6 Colgate toothpaste, 4 Reynolds wrap and filled late Valentines bags for two of my favorite little people for $.10 each and putting it in clearance gift bags. Our Walgreen's had all the Valentines candy a dime. I had an amazingly quiet but frugal week at Walgreens. I am emailing the winners this morning. For the past two months I have been learning the art of blogging and had returned to my coupon clipping and doubling days. Now that I have it down and taking the lead of $5dollardinners.com to try to cook $5.00 dinners. I will post my dinners as I try to hone my cooking skills. Yes, Yurcek kids I can cook and try new things. Who else fed you when you were small and who taught you? Yes my kids can out cook me, and I have not had the time or energy or I had too many other projects or too much cleaning to try out new recipes. I have been recently asked by several people advice on feeding their children gluten-free and my blog will become another way for me to pass on the information. (I have been known to add celery, or any other leftover vegetables from my refrigerator, I especially like to add mushrooms but my husband hates them). Put all ingredients into the Crockpot on low for 8 to 10 hours until tender or 4 hours on high. *leftovers will become Becca and my lunch tomorrow. and with opening a package of $.83 wheat frozen garlic bread (separate wheat cookie sheet to stop cross contamination) for Jim and Detamara we will eat under the $5.00 challenge. Total $4.35 Gluten-free Dinner and $.83 to appease my husband and Detamara. Strasburg Children's has their spring line on sale and an extra February sale l5% off the everything including their sale items. Save up to a 45% price savings. Use Coupon Code FEBSALE. Easter, wedding season, and my granddaughters first birthday are all coming up. 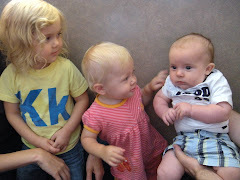 Check out their the infant selection and come back and give me feedback on what special dress I should buy for Kasja's first birthday (March 19). Kristy, Marissa and my fellow bloggers help me make up my mind! We all had way too much fun and saved money in the process! Just look what $75.00 will buy when you use coupons. I have enough deodorant for a year, three months of trash bags, l month of Bailey's Moist and Meaty Dog food, enough cat food and cat litter for 6 month, 3 months of fabric softener, enough body wash for a year, enough windex for a year or more, Valentines for four families for next year, enough Fruity Pebbles for glutenfree krispie treats for a year and much more. When I moved to rural Wisconsin, I thought I was moving away from my doubling days, with Kmart and Pamida Doubling I will never have to pay sale price again. We have now added $100.00 to the budget for household goods etc. for the monthly doubles with stocking our house, the boys places, helping my friends and the food shelves. I am back from my trip to Kmart and will be posting my pictures etc. in the morning. I am quickly posting some of my best match-ups before heading off to bed. Remember that you have to have one extra item without a coupon to be able to use the Kmart $5.00 off $50.00 purchase. We bought a soda to use the $5.00 on one order and the other two we threw in a package of Valentines. After the cashier hits total, the Kmart $5.00 off coupon has to be given before taking off any coupons. Watch the cashier to make sure she is pressing the correct buttons and the items are doubling correctly. When using a coupon that is for two items, the coupon will only double to the price of the first item. I do not use any coupons for two unless the double only matches the price of the first item or under. It does not take long to accumulate 25 items, Jim, Becca, and I each ran through lines and I had gone early in the morning with my coupon buddy Melissa. With living 35 miles from this Kmart we had to do it all in one trip to make the savings worthwhile. While we were in the city, gas across the border is $.20 a gallon less than in Wisconsin and we filled up my gas guzzling SUV saving another $3.58. As I was planning ahead for my Kmart Double coupon adventure, I had to check out to see what other deals I can match up with this Sundays new coupons. Check out this weekends coupon preview. Now for the next challenge, getting up early to get my copies of the Chicago Tribune. In our small town the couponers now are up before dawn and wipe them out at our local Kwik Trip. For all you who are blessed to have your Kmart Doubling coming up Sunday I have found some Presale Matchups that will save you time and help you be prepared to get some really good deals and stretch your dollars. Go to Kmart.com and check out the upcoming ad for to see if your store is doubling. Check out the Match-ups Hip2Save and here at Hot Coupon World for the upcoming Doubles, and as an added bonus a Kmart coupon for $5.00 off a $50.00 purchase. (Make sure you hand the coupon to the cashier before giving them your manufacturers coupons). I will be taking advantage of picking up free White Cloud Toilet paper, Windex, and really inexpensive Arm and Hammer Laundry Detergent for my boys apartments. Post Cereals will also be a great deal as they are offering a $2.00 off 4 boxes of cereal at the register coupled with 2--$1.00/2 coupons I will get four boxes of Fruity Pebbles to make our gluren free fruity krispie treats for $1.00 each. We will be heading to Dubuque, Iowa Sunday Morning, my DVR will be recording church to get there early. We are carpooling to save added dollars! With all the doubles I have been able to take advantage of my pantry shelves are wellstocked, I can focusing on helping the boys stretch their college budgets, as they raid my shelves when they visit home. I as always am collecting items for families in need. I discovered these coupons thanks to DealSeekingMom.com one of my favorite coupon and deal sites. 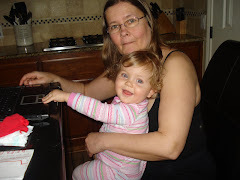 My daughter Kristy loves the Gerber onsies for my granddaughter Kasja. Leap Frog has posted new coupons for several of their Leapfrog Learning Systems. $5.00 any Didj Game, $4.00 any Leapster Game, $3.00 off any TAG Library title, $3.00 Leapfrog Fridge Magnet Toy. The coupons are good until 4/5/09. *Toysrus has these on sale, and Walmart has several of these items on their toy clearance pairing it with a coupon you may score a great deal. My girls have been anxiously awaiting the release of High School Musical 3. They waited since its release in the movie theater to see it because they know that if they wait, we will buy it for less than the cost of the movie. Becca researched and found that it was $15.99 at both Target and Best Buy. My girls are right, it saves money to wait, and they can watch it over and over again. **If you haven't registered for the Disney Movie Rewards club, stop by and earn free Disney items by entering the codes from Disney Dvd movies. As an added Bonus get a Free "High School Musical 3" 2-Sided Mini Poster is available at Disney Movie Rewards. Celebrate the awesome Wildcats with a FREE* mini poster! With a different image on each side, just flip to feature your favorite. Measures 17" x 28". 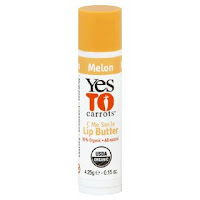 * Plus US $3.50 shipping and processing, payable by credit card only. Limited quantity; available only while supplies last. Limit one per member. I just found this deal on A Full Cup and was passing it on to my boys who love IHOP and knew I should post it to my Blog. (I love pancakes, but can't have any). Our Becca was a Children's Miracle Network Recipient I had to help spread the word. In celebration of National Pancake Day on February 24, 2009, at IHOP restaurants across the country will serve up pancakes to support a GREAT CAUSE close to my heart. 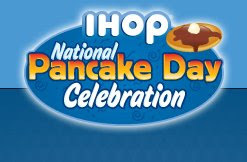 From 7 a.m. to 10 p.m., families and friends can enjoy a free short stack of IHOP’s famous buttermilk pancakes (3 pancakes), and in turn, make a donation to IHOP’s national charity partner, Children’s Miracle Network, which helps improve the lives of children at the 170 Children’s Miracle Network hospitals nationwide. One hundred percent of the funds raised locally will benefit the Children’s Miracle Network hospital your own area. Eat free Pancakes and Support Children's Miracle Network Hospitals for kids like my Becca. *Limit of one free short stack per guest, and the offer is valid at participating restaurants for dine-in only while supplies last, and is not valid with any other offer, special, coupon or discount. Thanks to I Heart Wags for posting this freebie. **Hand the cashiers the Manufacturers coupon first and then the Easy Saver Coupon so the register will not beep. This may result in an overage so you will need something else on the transaction as a filler. It is so easy to get a $5 off in store coupon and a 10% off code at Kohl's by signing up for their emails. With using the coupon or l0% code Kohls sales and clearance will be a frugal find. Who would have thought that Menards would have the best soap prices? **Rebate is in the form of a Menard Merchandise Credit Check Coupon. Win a set of two handmade Toddler Bibs. One will be the heart one featured here and the other a bright bold colored stripe. Leave a comment to enter after reading my post on making one. Win another chance by following my blog. I will draw the winner on Tuesday February 24 at 12:00 noon. I found a two pack of Valentine Dish Towels and made this Toddler Bib for my Granddaughter for Valentines Day. Years ago, I found that Hand towels made the most absorbent bibs and saved the kids expensive clothing from stains. It is an easy Sewing Project for even the beginner sewer. I watch for designer embroidered hand towels on the clearance racks, and often I find that I can pick up amazingly cute holiday bibs for each season. My latest two favorites a Cars and Pink Disney Princess Embroidered Hand Towels I found on clearance for $2.13 each. This heart towel is from Target in a 2/pack for $3.99. Tomorrow after Valentines Day will be half price. Pastel Hearts will work year round. Total cost for 2 bibs $4.25 and I have found that my bibs last for years. This size will fit a toddler all the way to Kindegarten. You need.. A hand thick Hand Towel and an 1/8 yard of Coordinating Ribbing, Sewing Machine, and pins. 1. Get a head measurement, I used a piece of ribbon to cut it to size and then found a lid or bowl the correct size. Then I made a pattern of the circle on paper and cut it out. 2. I folded the circle in quarters to find the center, where I made a dot. 3. Take the towel and take the top end, measure down 8 inches on each long side. (That will be top of the bib and will be folded there once the ribbing is placed). Then fold in half again on to find the middle between the pins and place a pin (8 inches again from the top end). This is the center of the towel. Mark the center spot with a pin or marking pen. 4. Take your paper circle and put the marked center 1/2 inch down from the center pin. 5. Pin paper pattern in place and cut out neck opening. 6. Cut ribbing with one side on the fold (left) a piece 8 inches by 3 1/2 inches wide. Stitch the cut end (right) using l/4 inch seam allowance. 7. Turn Right Side Out and fold in half-- Seam will be in the inside. 9. Fold the Towel in half the long way to find the Center Back and the Center Front, Place a pin to mark each spot, then match up the front and back pins to find each of the two sides. 10. Match up the ribbing on to the right side of the towel, matching up the pins. The Center Back pins first. 11. Sew the ribbing to the towel with the ribbing on top with a 1/4inch seam allowance (about the width of the presser foot). Stretch the ribbing into place as you go. 12. Use zig zag stich in the seam allowance to help the ribbing lay flat. 13. Folding the top of the towel down 8 inches (right sides out). Stitch along each side beginning about 7 inches from the top for about an inch along the edge to form the sleeve openings on each side. This project is easy and with mastering how to put in a ribbing, you can also make a simple baby bib using a cute fingertip guest towel using a smaller ribbing. This week has been a blessing, the weather has been warm for February, and the we can see ground again. In our rural shopping news I discovered my mission for the day, someone was having a Garage Sale! The farm woman had rented out the Township Hall for a mere $l0.00 a day, she had heat, a restroom, and it came with tables. It was a brilliant idea! She had a ton of baby and toddler boy things, but with my Granddaughter I was out of luck, but found some Gardening books for a dollar. I will try my hand at raising plants, Doc is laughing because I have anything but a green thumb. I found a couple of pairs of Old Navy Toddler Boy jean with holes in the knees for 50 cents, cutting them off, run them through the Serger and with hemming, they will become perfectly good my friend Lisa's son for summer. I also picked up some basic patterns for a quarter and the girls can build their sewing skills with making some summer pajama pants. I picked up cheap receiving blankets for cleaning instead of using paper towels. I drove out to this little village, through the rolling hills of SW Wisconsin, the sun shining and I smiled as I passed an Amish buggy. My girls say we live in little house on the prairie with only we have hills. I park my gas guzzling Sequoia in the Piggly Wiggly parking lot next to an Amish buggy tied to hitching post. I can have the simplicity of the country but can venture into the rat race when I want. Doc mistakenly thought I would not shop out in the country, but with the internet and UPS I do just fine. I had a taste of spring today, I cannot wait for the farmers markets, garage sales, and auctions to begin. Jim can't wait for me to buy homemade Amish baked goods, as this celiac wife cannot bake with wheat in my kitchen. I can't wait. Spring is just around the corner... I found my first garage sale. I couldn't stay home tonight, with the new grocery ads I ran over to Pamida to price match and use a few more double coupons. 8 Cans of Hormel Chili. Pay Out of Pocket $12.26. With Marissa's upcoming September wedding she is looking at ways to save money. 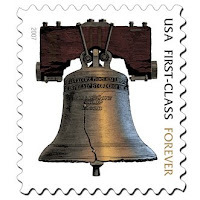 Today the United States Postal Service announced that the price of a stamp will increase on May 11 from 42 cents to 44 cents. By buying the forever stamp before May 11 we can save 2 cents on the price of each stamp. It may not seem like a lot of money but sending out wedding announcements is a huge expense. The forever stamp will be good after the price rises to 44 cents. I will head out to the post office an buy a couple of rolls to help her with her announcements and the thank you notes. Saving $6.00 on the price of postage. Every little bit helps. While I am out, I will get a roll for our home use, I can't stand paying a higher price when I can get it for less. Macy's has a huge clearance going on from 25-75% off and they have an short-lived added bonus of 99¢ SHIPPING on clearance! My coupon buddy called and asked if I wanted to head out to coupon hunt. With the temperature expected to be in the forties, my cleaning can wait, besides the Doc is home and he can hang out with the girls. I told Melissa I wasn't spending anything more than Twenty dollars. Goody and Scrunchy No Slip Headbands 4@1.29 each. I can't believe I came with change left from my $20 and I got all this. I was able to save with coupons, buying on sale, price matching an amazing $194.20 and had a couple of hours out with a friend while Dad hung out with his girls. Figuring a salary for my time that makes it $97.10 per hour and of that time an hour was driving to the store and back. Sunday morning begins the quest to pick up the staple of my coupon savings plan, the Sunday newspaper. I get sentimental when I pickup my extra copies of the Sunday paper to replenish my coupon files. When Becca was born and we fell into poverty, I found that a dollar or two invested in a Sunday paper would help stretch my budget allowing me feed our family of eight on very little. With a dying baby, a job loss back in 1989 we took on early morning paper routes for the Minneapolis Star and Tribune to help feed our struggling family. In time our paper routes multiplied and with that multiplication, so did my coupons. Saturday afternoons were spent putting the four sections of the paper together and sticking around to help the Depot manager clean up. We were rewarded by getting to take home the extra stray coupons. Newspapers and Coupons paid the bills while my husband Jim went through two years of under-graduate course work and four years of medical school. People cannot believe that we were able to provide for a family of 8, including a critically ill baby on Newspapers. Up at midnight Saturday night/Sunday morning we would begin our eight hour shift. Monday through Saturday we slept in until 3:00 as Jim and I took turns taking one of our teenagers out to deliver our as many as three weekday paper routes. On Weekends we often added downed routes to our normal 800 papers. The Yurcek team had the delivery system down, we didn't need a health club or to exercise. The newspapers provided our workouts, we walked miles, lifted and stacked the heavy bundles of papers. Through snow, rain, sleet, freezing Minnesota winters, we delivered our papers in the wee hours of the morning. We were fortunate to have nursing services for our daughter Becca so we could go out and work. The little ones were bundled up into their sleeping bags or stayed home with our oldest daughter to sleep. We did whatever it took to keep a roof over our heads and bargain hunting, frugal shopping, and coupons kept our family fed. In this economic downturn everywhere in the media we are hearing about saving money and being frugal and coupons are making a comeback. I recently joined the ranks of the frugal coupon saving bloggers. Hundreds to thousands of followers are joining the ranks of the thrifty. The new vogue--being thrifty, frugal and using coupons! I was in vogue ahead of time. I remember back to when we struggled the most, my children's tears when they came home from school ashamed of their being taunted by kids for being on free lunch. The whispering of neighbors and church family looking down on us for being "poor". But we were proud, we worked hard, and my children are now young adults. The kids have embraced their fathers leading, knowing the value of a college education, they coupon, they bargain hunt, they have always worked hard and knew the value of a dollar. My heart is warmed when the cellphone rings with one of my children calling informing me of their latest deal. They watched and learned as we all struggled together. Today we no longer have to struggle, my husband is a surgeon. We still are frugal, we have to pay off student loans, our debt and save for retirement. I will always coupon. Recently it has become harder to find my most favorite Sunday papers. By 7:00 am the local Kwik Trip which had already upped its Sunday order to accommodate the growing number of couponers in our tiny rural community. The piles of the Milwaukee Journal has dwindled. The two other papers have coupons but I have found the larger city newspapers have a larger selection. My coupon friends are recruiting new couponers everytime we shop, they watch the cashiers with our piles of coupons and they are shocked at the frugal total. I am proud to be able to teach and share my strategies. the disadvantage, I can't find my Chicago Tribune Newspaper. I used to be able to out by 9:00 am and still get my papers. I was out by 6:30 and still couldn't get the paper. The grocery store opens at 7:00 and I will have to stake out the door to get my prized Chicago Tribune. January brought the news that the newspaper industry has come upon hard times. In January our former employer the Minneapolis Star and Tribune was reported going into Bankruptcy. Followed by the Chicago Tribune in February. The New York Times Newspaper is on the bankruptcy watch list. As the newspaper circulation has been dwindling, the newspapers need to write more articles about frugal living and coupons. They should be working with the manufacturers to get more coupon sections, when you increase coupons they get more people buying more "extra papers". With the rise of those who are like me running out to pick up extra copies of the Sunday papers to get our coveted coupons, we are not only saving money with coupons, we are doing our part to help the Bankrupt Newspapers. On the downside, as my daughter Becca informed me, I am killing trees, but at least we recycle. I did my part to help the Bankrupt Chicago Tribune newspaper with my three Copies and 3 Milwaukee Journals and our home delivered Dubuque Telegraph Herald. This week there were four sections of coupons. I am now very thankful that I no longer need to deliver them. My adopted daughter wants a job, we may begin her journey to employment with delivering the Tuesday shopper, while this Mom returns to driving papers again. We delivered newspapers for seven years, it was a hard time, but I fondly look back at the good times we had working side by side with my children. Coupons, I still use them, and now with all the internet resources for finding the deals, I no longer have to spend all Sunday clipping and matching them up to the local ads. Spending an hour on Sunday mornings clipping and organizing my coupon files I can save hundreds of dollars a month on groceries and household goods. I now realize why coupons mean so much to me, and cause me such sentimentality, it reminds me of where we have come from and how far we have come. To all you frugal coupon followers, thank you for doing your part to help support the struggling newspaper industry with all our extra newspaper purchases while saving money. 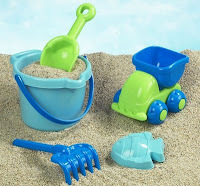 Little Tikes has a huge Clearance Sale with toys marked 30 to 50% off. Last week I did very well at Walgreens and transferred a prescription for my inhaler and received a $25.00 gift card. I rolled my gift card into $10.00, $5.00, $4.00 RRs and free merchandise. I will transfer one of my husbands prescriptions this week for a coupon for another free $25.00. I will not be shopping until Thursday 2/12 as was excited to get a Walgreens Friends and Family coupon from my Coupon Friend and Walgreens Employee-Melissa (Thank you!!) saving me an extra 15%. Total Cash out of Pocket $1.44 plus tax for all three transactions. What can $10.00 Buy? Found these Matchups at CouponMom.com forums. While Miss Becca was busy price matching her movie deals, I took advantage of these deals. I love that Walmart Price Matches, it saves me time, and saves me driving 20 extra miles to the bigger city. We live in rural Wisconsin and have a small discount store in our little town. Last night I discovered that they were doubling to/including $1.00 for a week beginning today. What I love about Pamida, is that they will MATCH any advertised price and then I can get a double coupon off. Pamida has many Proctor and Gamble items on sale, and when you spend $40.00 worth of products P&G, a mail in rebate of a $15.00 Visa Gift Card (they advertise $15.00 gas card). Our little county news paper had the P& G insert, and with all the coupons and the 3 P&G books that arrived in my mailbox I had plenty of P and G coupons to have way to much fun and stock up. I will get 3--$15.00 gift cards. $45.00 I will be mailing them to our house, our rental house, Jim's work. The Total spent to get the cards was $36.10. $120+ worth of P&G products less coupons down to $36.10. I made money on the deal. I also got free SoBe Waters, free Bounty Papertowels, Luden Cough Drops, Crest, Fisher Sunflower Seeds, Candy. Paid $.50 for Poptarts, Special K Bars, Kraft Dressings each; Paid $.25/3 for Rice-A-Roni I bought 27 for a total of $2.25. Softsoap hand soaps ($.30) and Head and Shoulders were $1.00 each when price matching Dollar General. We stocked up on Tide Laundry Soap ($4.49), Fabric Softener ($1.99), Multi Surface Pledge Wipes ($1.00) and will be submitting that receipt for the $50.00 P and G get a Coupon Book with $120.00 coupons. My friend Melissa and I met up and with both of us looking to see what matched up it didn't take as long as last time. Pamida seems to be doubling once a month, and when they double, I really get some amazing deals as I can match any other stores sale price and get double coupons off. I often match Walgreens and Dollar Generals Ads on Pamida's Double Coupon week. Becca practiced her math helping me figure the deals and my husband stopped in to check to see we were doing and started finding his own bargains. Pringles... $.30/3 doubled. He can't have a sandwich without his potato chips. On September 19th our daughter Marissa is getting married in Sunny Orange County, California to an amazing man Jordan. Marissa is a professional organizer and actress and frugal. She has been busy planning her wedding with all the attention to detail, and carefully saving money on everything. J Crew the clearance pages right before Christmas. The Dresses were on sale and Kristy had found an extra 30% off coupon code and with free shipping for any order over $150.00. The Dresses were originally $169.99 and I got both Becca and Detamara's Bridesmaid Dresses for $80.50 each. The Sophia Silk Chiffon Dresses in Expresso are now back to the original prices of $169.99. They trade out the colors based on the season. J Crew had just added more Dresses to the clearance rack, a phone call to Marissa to help me pick one out for myself. The Rebecca (How appropriate) Short Dress in Expresso $250.00 for a frugal $69.99 plus shipping of $10.50. I went in through Ebates and will get back 2%. Wedding and Prom season is approaching, I decided to share out favorite place to buy special occasion dresses at bargain prices. In today's email from J Crew they have added more special occasion dresses to the racks and they are offering some very incredible savings on dresses for bridesmaids or just in time for prom season. Marissa's next task, find flower girl dresses. J Crew Bridesmaid Dresses on Marissa, Detamara and Becca. GlutenFreeTravelSite is a resource for people with Celiac Disease -- an autoimmune disorder that compromises the body's ability to digest gluten, a protein found in wheat, rye and barley. It provides peer-written reviews of restaurants, hotels/resorts, cruise ships and grocery stores around the world that cater to the gluten-free community. "With the growing need for special diets, GlutenFreeTravelSite offers a personal touch by giving people with dietary needs a way to connect with others facing the same challenges. By using the site the reader can make our trips away from home safe and enjoyable and truly Gluten-free. One of the biggest challenges for those with Celiac's Disease is to not get Gluten and ruin our vacations or our trips out of town. GlutenFreeTravelSite is organized by geographic region to make submitting and searching reviews user friendly. "Since searches can be done by state, region and country. I have sent this site on to my daughter-in-law Stacey for her blog "More Gluten-Free Options.Blogspot.com where she and my son profile Glutenfree resources, recipes and Minnesota Gluten-Free Dining Options. I will begin to research Orange County, California options to be ready for our September trip for Marissa's wedding. I was cruising the internet and found the All You website. They posted an article about an amazing on FREE service. So I did a little research. By dialing 1-800-FREE411 you will never need to pay for Directory Assistance again. They also offer voice-activated MapQuest directions to any place in the U.S. You don’t need web access at all! You can even have the directions sent to your cell phone via text after the call. Becca has been anxiously awaiting buying Space Buddies. She has done her homework and found the best price. She will watch it over and over again. Online Coupon for $3.00 off. 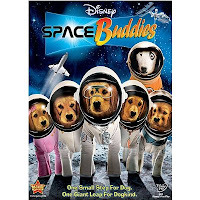 At Target you get the Space Buddies DVD for $14.99 with the free Space Buddies music CD sampler. Purchase Space Buddies and & Oliver and Company and receive a $5.00 Target gift card. Best Buy has Space Buddies DVD and Oliver and Company for $30.00 and get a FREE Space Buddies Stuffed Animal. Make sure to sign up for the Disney Movie Rewards Club where you earn points for the DVD's you purchase. Redeem the points for Disney movies, posters, CDs or even FREE tickets. When Disney has new DVD's out we often buy it the week it comes out to take advantage of the promo release prices and the rebate deals. This Disney Movie Deal is just in time for Valentines Day for Becca and Company (Milo, Morgan, Pumpkin her furry family). I was enjoying a quiet morning and caught the Today show when their topic caught my curiosity. The segment profiled tips to salvage our Technology when accidents or jams happen. The Today Show Tech showed how to salvage a wet cellphone from dropping into the toilet or into the swimming pool . I have already had to replace my adopted daughter's phone when she "forgot" it was in her hand and dove into the pool. I was so impressed that I knew that I needed to pass on the story. Saving that wet cellphone is easy, I just didn't know what to do. "High Tech goes Haywire" with Rosemary Ellis from Good Housekeeping and Matt Lauer gives us simple quick fixes for our expensive Technology. From a wet cellphone to a spill into our keyboards. I never knew a paperclip will fix a stuck CD in my laptop. Even a fix for a frozen IPOD or MP3 player. The fixes were things any ordinary person can do themselves saving replacing the item. If we don't act fast in some circumstances it is too late. 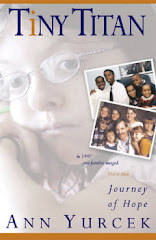 This is a story worth watching at the Today Show. "Deal"ectible Mommies is one of my favorite sites to find Quality Children's Deals and Reviews along with other family friendly finds. Candace knows quality and she shares the deals she finds while parenting two very precious little girls. Through her website I have found some very amazing deals for my favorite little lady Kasja. I have found Pediapeds and Crocs for very frugal prices to name a few. (What is it with the Yurceks and shoes?) I have passed on a few of my favorite finds to her and she has similar styles, values and appreciate her reaching out to help others. One about Bumkins a diaper product and well worth checking out. "Deal"ectible Mommies site is offering a Giveaway of A Bumkin Diaper Cover which I will be entering to see if I can win one for my Granddaughter. Yesterday I noticed that I had a $2.00 Boost Kid Essential Coupons sitting in my coupon file and with a new Target Kid Essential Coupon out yesterday, I discovered a Kid Tested Review. I had a lot of questions and hadn't had time to go check it out for myself, when Candace answered my question for me... Is it Gluten-Free? Gluten-free and Lactose Free. I am always trying to find ways to get calories and vitamins into Becca and this product has added probiotics. It will solve many of my Feeding Becca Dilemmas. Nutrients, Probiotics, Gluten and Lactose Free and if she drinks one I won't have the fight to get her to swallow her probiotic pill. Boost Kid Essentials I signed up and got a FREE Coupon Mailed to me. 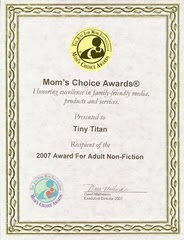 Thank you Candace for the reviews and the deals, and the amazing post about Tiny Titan. Head on over to "Deal"ectible Mommies and check it out. Don't forget to enter the Bumkins Giveaway. ** Added note for those Coupon Loving Moms-- You can double stack a Manufacturers Kid Essentials $2.00 off coupon with a Target $2.00 Kid Essential Coupon and try it yourself at a frugal price. The review was amazingly timely, today in my mailbox was a coupon for a Free Boost Kid Essentials Pack (Up to $14.99 off) and it is now added to my shopping list to try. This morning I was ready to walk about the door to head to Walgreens, Jim (Doc) got a page to the Emergency Room at the hospital by Walgreens. We left together and I dropped him off and I knew I had an hour to do some browsing. The Black Haircare Products were all on clearance and so I decided to stock up for Detamara. I had planned on doing other deals, but forgot the printed off the internet coupons by the computer in my haste to leave with Doc to do an emergency appendectomy. I saw several other deals, but am waiting to see if the manufacturers issue new coupons. I was bummed that my Pantene coupons expired yesterday and would have gotten the Pantene for Dee for only 22 cents. Oh well, I still had Rapid Rewards to cover it. I feel like I am finally getting proficient on rolling over my RR deals to save on paying money out of pocket. I also have learned on trick... Always begin with the Transaction that can be reimbursed with Flex Money. Then roll over the all the RR from there. I apologized to the polite young cashier who reminds me of my adopted boys every time I come in. He knows that I will have several transactions and he informed me that he is used to my deals and is taking lessons. He needs to learn as he is a poor student. He always greets me with a smile and patiently waits on me. Thank you to Daryll at Walgreens for amazing customer service.